Responsible for managing the activities of the Hotel representative and the Housekeeping teams ensuring services and offerings are commensurate with guests’ expectations while consistently enforcing the established service standards. Oversees the daily operations and administrative responsibilities of the Hotel, Housekeeping, Laundry, and PBX teams. Familiarizes, utilizes and implements all aspects of the B.E.A.C.H. Core Values in daily operations. Reviews daily and weekly reports to monitor revenue generation, rate management, yield management forecasts, expense management and payroll controls. Prepares a variety of operational reports for management review. Reviews short and long term occupancy and revenue forecasts to identify deficiencies and take appropriate corrective action to maximize all revenue streams. Continuously evaluate hotel operations from guest reservation to guest check out to ensure exceptional standards of guest service, accuracy, completeness and guest satisfaction. Maintains comprehensive understanding of all laws and regulations pertaining to the business and the facility. Work closely with the Marketing Department to coordinate Resort activities and ensure availability of rooms. Responsible for the development and execution of the Hotel department’s budget and MBOs. Develops, implements, and evaluates goals, objectives, programs, promotions, budgets, policies and procedures of the Hotel and the Housekeeping departments. Manages employees during the shift and ensures appropriate professional standards of behavior, work standards, productivity, practices and customer care are enforced. Monitors staff performance to ensure Chinook Winds Casino Resort customer service standards are achieved. Ensures the Hotel and the Housekeeping department’s scheduling and staffing is sufficient. Hires, trains, schedules, mentors, coaches, counsels and rewards all directly assigned staff. Develops and maintains a teamwork environment. 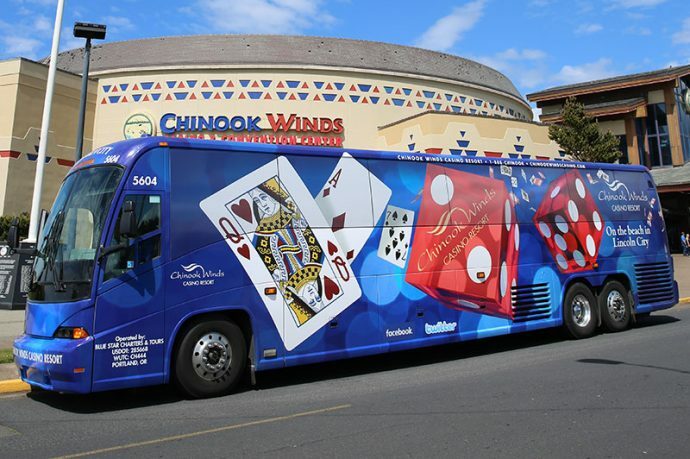 Handles all personnel issues in a timely manner according to Chinook Winds policies and procedures. Develops, implements, and monitors programs that ensure a safe, clean facility and work environment that is in compliance with all appropriate regulations. Keeps current on trends within the hospitality, convention, restaurant, vacation and travel industries. Communication Skills—the individual speaks and writes clearly and persuasively in positive or negative situations, demonstrates group presentation skills and conducts meetings. Leadership—the individual inspires and motivates others to perform well, accepts feedback from others. Management skills—the individual includes staff in planning, decision-making, facilitating and process improvement; makes self available to staff; provides regular performance feedback; and develops subordinates’ skills and encourages growth. Quality management—the individual looks for ways to improve and promote quality and demonstrates accuracy and thoroughness.